John Jantsch: You wanted to know how to be a better marketer? Just ask. Ask who? Ask your customers. Ask the market. Find out what people actually want. Find out what their challenges are. Find out what their problems are. In this episode of the Duct Marketing Podcast I visit with Ryan Levesque, he is the CEO of the ASK METHOD Company. 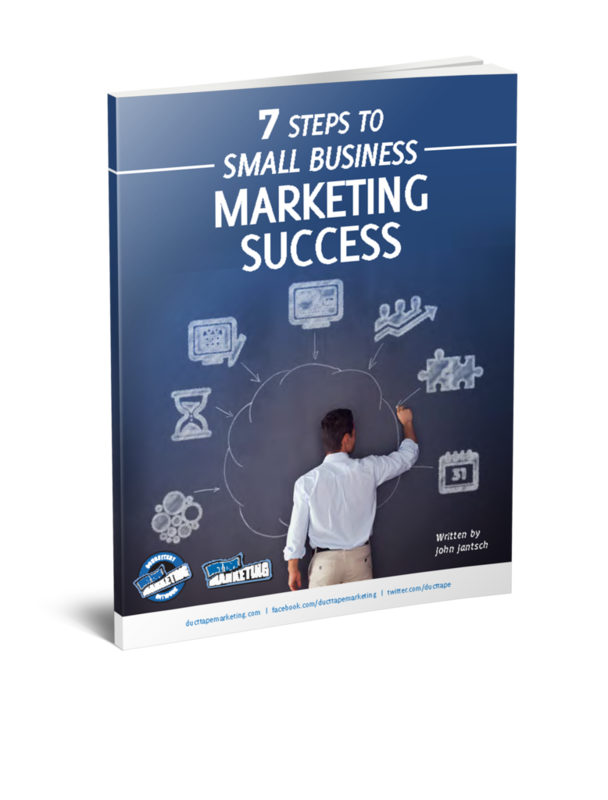 And, he wrote a great book called Ask and we break down the simple three step process to get in the right market, to make the right play, to understand exactly how to message your marketing. Check it out. This episode of the Duct Tape Marketing Podcast is sponsored by Ahrefs, the SEO tool set that I use every single day. And, listen in to this episode because I’m going to tell you how you can win a full year subscription. Over $2000 value on this amazing tool. Check it out. Hello and welcome to another episode of the Duct Tape Marketing Podcast. This is John Jantsch and my guest today is Ryan Levesque. He is the CEO of the ASK METHOD Company and author of the number one best selling book, Ask. So, Ryan, thanks for joining us. Ryan Levesque: John, it is a pleasure to be here. I’m really excited. John Jantsch: Well, so let’s just start with breaking down the ASK METHOD. You’ve certainly made a lot of ripples online. There’s lots of information about this online. It’s obviously thoroughly outlined in the book, but, let’s give it the kind of the baseline, so we can then break down each part and then how to apply it. Ryan Levesque: Awesome. So, the ASK METHOD in a nutshell. It’s a marketing methodology to better understand your audience. To better understand your customers. To better understand the market that you serve. And, then specifically uncover the different buckets that exist in that market, or, sub segments. And, really there are three phases to the process at the highest level. And, the phases are Discover. Which is where you learn about your audience. Segment, which is where you put your audience into different buckets. And, Launch, which is where you launch your [funnel 00:02:12], or, your product, or the business that’s going to serve those different groups of people. John Jantsch: Yeah. I think this is … Maybe you would agree with this because you created this process. But, this has become even more important, don’t you think, in today’s kind of mass blasting? Ryan Levesque: Oh, absolutely John. You know it’s a classic example if you … It’s not an example that I’ll be the first to point out. But, we live in a world today, you know, that’s very different than it was even just a few dozen years ago. For example, you go the grocery store and there was a time not too long ago that most of us remember growing up as kids where there was two kinds of spaghetti sauce. There was Prego and Ragu. Now, if your wife sends you to the grocery store to get spaghetti sauce … I don’t know if your life is anything like mine, but, there is so much opportunity to make that decision incorrectly. There are literally a thousand kinds of spaghetti sauce at the grocery store today. And, it just underscores this very specific example that we live in a world where people are used to getting exactly what it is that they want. Not some generic solution, but, the thing that serves their exact needs in their exact situation. John Jantsch: You’ve just derailed the entire show, because now I have to get up on my soap box about yogurt. Ryan Levesque: Oh gosh. That’s even worse. John Jantsch: I know exactly the kind and the flavor and the brand I’m looking for and it still takes me 10 minutes to find it. John Jantsch: It’s so bad. All right, so does this … Well before I ask you this question, let’s break this down a little bit then. John Jantsch: So what does Discovery look like? What does Segment look like? What does Launch look like then? Ryan Levesque: Totally. So, Discovery. The cornerstone of the Discovery process is doing something that we call in my world a deep dive survey. This is a survey where you are asking a very specific set of questions with open ended questions. And, the reason for this is you want your audience to pour their heart out to you. In their own language. what it is that they’re struggling with. Their pain points. What it is that they want in the market that you’re looking to serve. And, then with that information what you do is you identify what we call hyper responsives. So, in every market we talk about yogurt. We talk about spaghetti sauce. There are going to be people who are disproportionally more passionate about that product, service, or subject than everyone else. And, the big mistake that people make when they’re doing surveys in their marketing is they focus on FAQs. The most frequently asked questions. And, there’s something that I teach called the Myth of the FAQ and it goes like this. Depth of response is actually more important than frequency of response. So what that means is you want to pay attention to the minority of people. In Pareto’s principle, the top 20% who give the longest, most detailed, most passionate answers and all of your marketing. The products that you create, should all be designed to serve that group of people and ignore everybody else. So, in a nutshell that’s what Discover is all about. It’s going through that process to understand the language and who your hyper responsives are in the market that you’re looking to serve. John Jantsch: All right. So, let me drill a little deeper there. If I … Okay. I get that and I’ve … You know, maybe I can write my deep dive survey in a way to get some of these answers. If I don’t have a lot of customers yet today, I mean, who am I surveying? Ryan Levesque: It’s a great question. So, there’s two processes that … Two, two … There’s a fork in the road when you’re in the Discover [zone 00:05:40]. And, the fork in the road is whether or not you have an existing audience that you already serve, or, you’re looking to get into a new market that maybe you don’t have a business in and you want to maybe test out and see if something that’s worth pursuing. So, if you already have a market and an audience in that market, you’re going to pursue what we call the Classic Deep Dive Survey. Which most typically is reaching out to your existing audience of people and running a survey to them. Analyzing the results and then moving on to the next step, Segment. If you don’t have an existing audience, you’re going to do what we call the Lean Deep Dive Survey approach. Now, the Lean Deep Dive Survey approach is instead of trying to get hundreds of survey responses from your existing audience. You’re going to be focusing on having about a dozen or so one on one interactions with people in the market you’re looking to serve. And, the way you find these people is by identifying different group, communities, forums that exist online that represent the target market that you’re looking to go after. So, for example if you’re looking to help moms lose weight after they recently had a baby, then you’d be looking for mom groups online. Right? Forums, Facebook groups, online communities where you can reach out and have conversations online with your target market. Ryan Levesque: I would not only agree with that, I would also say that I’ve … As someone whose used this process, I’ve gone into 23 different markets successfully using this process. And, the only time I have failed in business has been when I thought I was smarter than the process. Like, I thought, “Oh, you know what? I’ve had all this success under my belt. I don’t need to do this. I’ve got good intuition. I’ve got a good gut feel. I’m going to skip this part of the process and dive right in.” Every time that I’ve done that, I’ve failed. Every time that I follow this process, it’s help … I’ve succeeded. And, the reason for it, John is because you’re using this process as a litmus test of whether or not you should pursue a project. I’ll give you an example. Let’s say you had two ideas that you’re thinking about. All right, maybe one is helping moms lose weight after the birth of their child and another one is helping, gosh … Completely different markets … You know, creating a better iPhone case to withstands … You know, I’ve got young kids. Kids who throw the phone on the ground. Withstand that damage. Okay. You’ve got two radically different ideas and you want to see, which one is worth pursuing. It give you a sense for which project is most likely to succeed. Which is the under served market? The one that’s hungry. That there’s an unmet need. And, so you can use this process to kill the iPhone project and pursue the helping moms lose weight project with confidence knowing that there’s unmet need and demand in that market. John Jantsch: I’ve written a lot of surveys myself over the years and it’s not easy. It’s sort of an art form to write a good survey. And, that’s just half the battle. Analysis of the response is another art form. How do you suggest that somebody who maybe hasn’t done much of this, but, now wants to pursue this kind of overcome that hurdle? Ryan Levesque: And they say, “Well Steve Jobs is famous for saying people don’t know what they want until you show it to them.” So, to help come up with your questions, this is the rule of thumb. The thing that you want to remember. There’s only two types of information that people can give you an accurate answer to in the form of a survey, or, really in any form of an interview. And, the first one is this. People don’t know what they want, but, they know what they don’t want. Ryan Levesque: And, you think about it in your life. Right? If you’re a business owner and you’re listening to this right now, oftentimes when we hire someone on our team, it’s difficult to know exactly what it is we’re looking for. Right? But, if you can think back in your career, John. If you’ve every had to fire anybody, whether it’s been an employee, a contractor, anybody that you worked with over the years. When you hired that person’s replacement, what went through your head? “I don’t want her to be like this. I don’t want him to be like that. Definitely can’t be like this.” It becomes really easy. Right? But if I said, “Hey, John. What did you have for lunch today?” We’re really good at being able to answer what we’ve done in the past. Past behavior. So, as you’re thinking about questions that you want to ask your audience, that’s going to give you accurate information. Past behavior, so what products have you used that you’ve tried and haven’t liked? Right? How much money did you spend in the last 30 days on XYZ solution? Things like that. Or, what you don’t want. Frustration. Struggle. Challenge. John Jantsch: Okay. So, let’s jump to the second half of that. It makes total sense. So, I get all these answers, is there … Do you have sort of the same rule of thumb for how I would analyze these answers? I mean, I’m envisioning answers all over the board. Maybe themes that keep reoccurring. How do you kind of put that into usefulness? Ryan Levesque: Because you’re going to see and hear and read in your customer’s own words how they describe their problems. Ryan Levesque: How they describe their frustrations. How they describe their fears. What’s going on in their life. And, what happens when you start reading these is … I like to get to this point, John, where I say, “You’ve changed as a human being.” Where you walk away having gone through this experience and you say, “I get it now.” Like, I’ve been saying this in my marketing. I’ve been using these words, which came in my head and in the reality my customers, my market, they’re saying this instead. Ryan Levesque: So, what you do is you go through the open ended responses at a high level and you start in a spreadsheet or a document, however you like to work. You start documenting the different themes that you see emerge. Oh, this person said this. And, then you start kind of organizing those themes and you want to get to a point … The rule of thumb is you want to identify the top three to five buckets that exist in your markets. So, the themes that you see, the top three to five, which ideally cover 80% of your market. Now, the reason I say 80% and not 100% is whenever you’re do one of these surveys, you’re always going to get some outliers. Right? You’re always going to get people who say, “What’s your favorite kind of spaghetti sauce?” You’re going to get three to five themes and then you’re going to get a few crazy people who say, “I don’t like spaghetti sauce. I like ketchup and Tabasco sauce.” Right? And, the challenge with that is when you do that it becomes such a big project that it’s an albatross. In theory, it’s great idea. But, when you get to the actual practical work around it, it’s so much work that you end up sticking with your one size fits all messaging. And, never get it off the ground. John Jantsch: You know it’s funny I’ve used for a lot of years now that reviews have become so important. That unsolicited review on Google Plus. You find a company that’s got 30 or 40 of those, I guarantee you, you can find themes that are probably the things that their clients appreciate more than the messaging they’re using. Ryan Levesque: Totally. I’ll tell you, listen, if you are a service professional … So, if you do any sort of service work or you’re a local area business, spend some time on review sites for your competitors. So, if you’re a restaurant go on YELP. Look at your restaurant’s reviews. If you sell a product you do the same thing, but, you do it on Amazon. So, you look at products in your category and you’ll see what customers of the product are saying and you’ll be able to do the same thing that we’re talking about here. Ryan Levesque: You’ll be able to identify the themes that emerge among those customers. John Jantsch: And, the things they don’t like. John Jantsch: Because, it will tell you those too. Ryan Levesque: Oh, right. For sure. John Jantsch: Hey. I want to remind you this episode the Duct Tape Marketing Podcast is sponsored by Ahrefs and I’m giving away a full year subscription to this awesome tool that helps you grow your search traffic, research your competitors, and monitor your niche. I use this tool every single day. One of my favorite ways to use it is to learn why competitors are ranking so high and what I need to do to outrank them. There’s so many great backlink tools, search tools, key word research tools, rank tracking, all built into this tool and that’s why I love it so much. If you want to enter to win a full year of this tool … that’s like $2000 value. Go to Duct Tape Marketing Podcast and find this episode if you’re listening to this. If you’re on the page, it’s the … The links are down below, but, you’re going to subscribe to the Podcast. You are going to maybe do a little tweak to get some extra bonus entries and in a couple weeks we will pick a winner and we’ll let you know if you won a full year. So, go check it out. So, has your method evolved based on what you’ve learned? Ryan Levesque: You know it evolves every single year. So, I’ve been doing this now for a little over a decade. I started int his business in 2007. And, like I said, I’ve gone into 23 different markets myself. This is me personally. And, in that process have evolved every single time. So, the work that I did in the first market I went into is kind of like crayons on the pavement of the driveway. And, I’ve reached the point now where it’ll never be perfect, but, I’ve optimized it to a point where there’s simplicity on the far side of complexity. Right? So, things like the identifying hyper responsives, identifying the top three to five buckets and not 17. Certain metrics that you want to be looking for in terms of length of response in certain markets. To help you identify is this a market that’s passionate enough to pursue. All of that comes from … Basically this is where I put my 10, 20, 30 thousand hours of my life and now I’ve been fortunate enough to teach this methodology to literally thousands of entrepreneurs around the world and that’s expanded my testing laboratory exponentially. Because you see what works at all these different markets. John Jantsch: So, we’ve been talking about messaging, but, have you been able to kind of reverse engineer this process to help somebody identify really the characteristics, behaviors, psychographics of what their ideal client should be? It’s a double down strategy. You want to double down on the group of people who are already resonating with you and your business. So, you want you find more people like the guys and girls who are buying ever single thing that you sell. And, this is a way to identify what makes that group of people different from the rest of the world. Ryan Levesque: Yeah. So, there’s so many. I could take … You know there are literally dozens of case studies. Give me a direction, John that would be probably the most useful case study. B to C, B to B, what [inaudible 00:20:09] most useful? John Jantsch: Yeah that’s … I’m going to go with B to B professional services. So, somebody who is maybe wants to put themselves out there as kind of an expert thought leader. And, maybe they’re going to track consulting clients, or, coaching clients. Ryan Levesque: Great. Okay. So, okay. So, the one that comes to mind right now is one that was recently in the news, just to give you a sense. So, this is a tiny little start up company that provided basically assistance to business owners. So, professionals provide assistance to business owners who are looking for access to business funding. Right? So, anyone on this call right now if you’ve ever, you know, had to seek out business funding from your bank, form a third party provider, you needed it grow, to finance equipment, to finance your business. This is a small little company. Start up company that was looking to do this. Going through this process they identified the different buckets of people and how to serve those people differently. Created different funding products. So, they took this kind of this service to productizing their service. Right? So, creating a package if you will, that specifically served the needs of each of these different groups of people. And, then within a few short years took that start up business to a company that’s now known as Swift Financial. That was just acquired by PayPal for tens of millions of dollars. And this is a company that literally started in a tiny little office, just a few guys trying to figure it out and make ends meet. And, the story has a happy ending with a big, big fat acquisition for tens of millions of dollars. Ryan Levesque: We all want that pot of gold at the end of the rainbow, right? John Jantsch: That’s right. So, Ryan, where can people find out more about the ASK METHOD and again, I’m not sure are you … I know there is a program that you have around the book. But, are you also doing private consulting? Ryan Levesque: We do. So, the best way to learn more, to go deeper in what we talked about would be to go to ASKMETHOD.com. There you’ll have two options. Number one, you can get a free copy of the physical book that, John mentioned, Ask. It was a number one national best seller. It sold over a hundred thousand copies. It’s published in a dozen different languages. You get a free copy of the book. Just pay a small shipping and handling. Or/and you can also get a free ASK METHOD blueprint. Which talks about the process. If you’re the type of person that likes to see mind maps and flow chart, it’s going to walk through the entire process at a 30 thousand foot level. That’s 100% free and you can download it there. And, then from there, yeah, we have programs. Online training programs. We have coaching and consulting programs. We even have a certification program to certify people in the methodology to do this for other businesses. That’s the best place to start. John Jantsch: Awesome. And, you and I are going to, of course, October 17 … So, depending on when you are listening to this. We’re going to be out at Ontraport, speaking at the same conference. So, that’ll be fun. Ryan Levesque: I’m super excited and that’ll be the first time that you and I meet in person. Which I’m equally excited about and looking forward to. John Jantsch: Me as well and plus, you know, Santa Barbara is and awesome place to hangout. John Jantsch: Well, Ryan, thanks for joining us and again, I will certainly see you out there on the road soon. Ryan Levesque: Awesome. John, thanks so much for the opportunity. It’s been a pleasure and a lot of fun. John Jantsch: Hey, thanks for listening to this episode of the Duct Tape Marketing Podcast. I wonder if you can do me a favor? Could you leave an honest review on iTunes? Your ratings and reviews really help and I promise I read each and every one. Thanks.